Over the last few weeks, we have launched the new State Planning Commission, three Statutory Advisory Committees (to help implement the new Act), released the assessment panel package for consultation and completed four out of the nine local government roadshows planned for metropolitan and country regions across the State. The roadshows are purposefully targeted at our local government colleagues to start the conversation about how we can work together to implement the reform program. I would like to thank all of those that have attended so far and helped us in our journey towards stronger collaboration. If you want to find out more about any of this, the Portal will be updated soon with a Council information page that will include copies of videos, presentations, and Questions and Answers. We will be progressively adding information as the roadshows progress. In addition to the engagement with councils, we have been speaking at a number of industry events, including PIA, IPWEA and UDIA. We will also soon be running information events for consultants, planning lawyers and other industry professionals. The Government has also released a policy package that includes the 30-Year Plan for Greater Adelaide 2017 Update and a range of aligned rezonings that put design at the heart of good planning and continue the Government’s vision of good quality infill development and reduced urban sprawl. These rezonings have been prepared in partnership with local Councils, and provide greater guidance about how development in our existing suburbs can provide new housing types in areas close to services and transport, while managing interface issues with existing homes. However, since the launch, there has been some focus on one part of the package - the Strategic Sites Inner Metropolitan DPA, which rezones specific sites that are aligned with the directions of the 30-Year Plan for Greater Adelaide. The criticism has been that the DPA picks ‘winners or losers’ through ‘spot rezonings’. The sites have been carefully selected to continue to progress the Minister for Planning’s direction to progress further in-fill opportunities, where interface impacts can be managed through quality design outcomes. Importantly, the sites were chosen based on strategic criteria, including being within the identified corridors, being of sufficient size to manage interface issues through good design, as well as being development ready. Most importantly, the DPA sits comfortably within the setting of the 30-Year Plan, which sets the target for 85% of all new development to be in-fill development. The DPA is the next logical step in the evolution of planning for strategic growth corridors, makes the most of public transport investment, and supports vibrant and walkable neighbourhoods. The rezoning is also supported by an evolving suite of design policy and guidelines, the first of which supports good quality residential development. We look forward to your comments on all of this, particularly the package as a whole. For more on the story about how it all fits together, have a read of 'Our Planning Future' available on the SA Planning Portal. 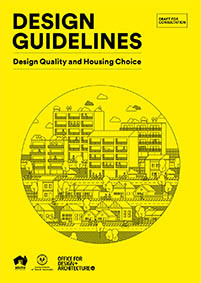 Design Guidelines, Design Quality and Housing Choice, released for public consultation last week, is the first of six Design Guidelines that are being produced this year. Upcoming Guidelines will focus on Master Planning, Infrastructure, Adaptive Re-use, Ageing in Place, and Tall Buildings. The Design Guidelines suite will provide best practice guidance for new developments and assist in improving the quality of our built environment. Design Guidelines, Design Quality and Housing Choice aims to support the delivery of well-designed higher density housing in metropolitan Adelaide and towns across South Australia. This will ensure new developments positively contribute to communities and strengthen the character of our neighbourhoods. The Guidelines are intended to influence approaches to infill developments, such as townhouses or row housing. Importantly, the Guidelines emphasise the design principles and performance outcomes that should be considered in order to encourage good design outcomes in residential developments. The membership of the three Ministerial Advisory Committees prescribed under the Planning, Development and Infrastructure Act 2016 has now been finalised. 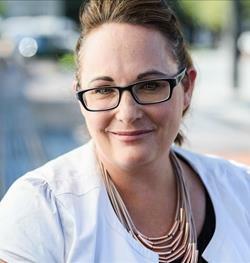 The membership of three advisory committees aimed at providing advice to the Minister for Planning in relation to the effects of the implementation of the Planning, Development and Infrastructure Act 2016 on the Local Government sector, development industry and community and sustainability representatives has been formalised. Nominations for each of the three statutory committees were sought last year from the Local Government Association and various development industry and community bodies to ensure the views and opinions of a wide range of interest groups were captured through this process. During July, a group of citizens will be meeting to help draft the principles of the Community Engagement Charter which is a key requirement of the new Planning Development and Infrastructure Act 2016. This group known as the Planning Together Panel have been randomly selected from across South Australia and represent a large array of planning experiences and knowledge, as well as gender, age groups and location. To support their work, we are looking for a group of interested people with a broad range of expertise to support the Panel in developing the draft Charter – to ensure they have the best knowledge about what works and doesn’t in engaging people in planning. We would value your input into this process and would like to invite you to join us. If you are interested in working with the Panel on Sunday 2 July, please register your interest to participate by emailing Anya Hart (anya.hart@sa.gov.au). See the SA Planning Portal for more information on the Charter.